The Exhibition of Chinese Classic Comic Books sponsored by China Fine Arts Publishing Group made its debut at the 55th Bologna Children’s Book Fair from March 26 to 29, 2018. China’s time-honored comic books have been developing into a popular medium since the 1920s. The format has roots in classic Chinese art starting with portrait stones in the Han Dynasty, Dunhuang frescoes in the Northern Wei Dynasty, hand-copied books in the Song dynasty, and illustrations in the Ming dynasty and the Qing Dynasty. The majority of the comic books on display in Bologna were published after New China was born. The exhibition included 22 color images from classic comics Monkey Subdues White-Skeleton Demon, Romance of the West Chamber, The Cowherd, and The Weaver Girl. Monkey Subdues White-Skeleton Demon, by Zhao Hongben and Qian Xiaodai, is a well-known episode from Journey to the West, a comic book adaptation of a classic Chinese novel. The comic book has won several awards at home and abroad, it and influenced many subsequent adaptations of the original novel. 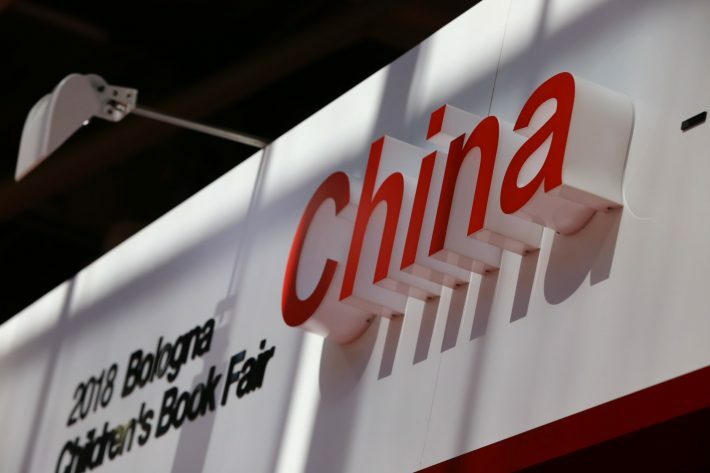 In order to familiarize western readers with the development of Chinese comic books, a lecture called “Childhood Memory of Generations in China: Comic Books” was held during the Bologna Book Fair. He Yulin, the director of the Comic Book Editorial Office at China Fine Arts Publishing Group, discussed the historical development and impact of comic books on traditional Chinese culture, so that this “unique cultural art” could be better understood by foreign readers. During the exhibition, China Fine Arts Publishing Group also displayed a range of recently published comic books, some from China and others with foreign content. Chinese comic books on display included Romance of the West Chamber, Legend of the White Snake, Havoc in Heaven, Strange Stories from a Chinese Studio, Outlaws of the Marsh, Heroes of the Yangs, and White Light.